Knowing what triggers a tax audit may help you avoid a problem with the IRS this tax season. While this may seem like a no-brainer, many taxpayers simply forget to report every dollar they earned that year. In most instances, this is completely by accident. The majority of taxpayers are honest people, but those who receive multiple sources of income may fail to include it all. If you receive a 1099-Misc or a W-2 from an employer, the IRS also received a copy. This means you must report this income on your taxes. These forms sometimes get lost in the mail. If you’re expecting a tax form from an employer and don’t receive one, contact them right away to reissue it. Even if you don’t receive a tax form in the mail, you’re still responsible for claiming all the money you earn. While self-employment offers many advantages, tax season isn’t one of them. The IRS seems to audit self-employed individuals at a higher rate than other taxpayers. If you work for yourself, it’s imperative to keep accurate records. Every dollar earned and business expense should be properly categorized and reported. This way if you do trigger a tax audit, your records are already in order. Even though the IRS allows individuals to deduct home office expenses, this doesn’t mean they won’t investigate this deduction. Taxpayers with a home-based business are notorious for triggering an audit. Before writing off this deduction, make sure your home office meets the necessary requirements. For example, a home office must be a designated space that is solely used for your business. If your home office isn’t in compliance with all the IRS regulations, think twice before deducting it. Taxpayers look for as many deductions as possible. Most of these deductions won’t raise a red flag, but if you take too many large deductions, the IRS may want to investigate further. The IRS knows approximately how much the average taxpayer will deduct based on their tax bracket. If you take a large deduction but can’t justify it with your reported earnings, this is a warning sign to the IRS. However, many large deductions are valid. If you have an honest expense for your business, you should take the deduction. This is why it’s so important to keep receipts for every expense, no matter how big or small. If the IRS questions your deductions, show them your impeccable paper trail. 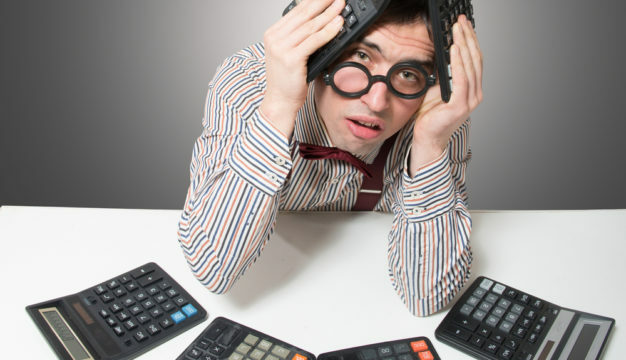 Handling an IRS audit by yourself is both time-consuming and stressful. While the majority of taxpayers are not audited, it can still happen to you. The tax professionals at Incompass Tax, Estate & Business Solutions can help you resolve a tax audit in a timely manner. Click or call us for more information about what triggers a tax audit and how you can avoid one this tax year.